Truffle can be match with most of the dishes as long as the smell of the food is not too strong that overpower the truffle aroma. Keep your truffle together with rice, egg, or butter to infuse the aroma in them. White Truffle should never be washed in water. Instead, gently loosen and remove dirt with a soft mushroom brush, then rid the crevices of any remaining pockets of dirt with the tip of paring knife and brush again. Black Truffle carefully washed and brushed under cold running water to completely remove any stones, soil, and dirt. ✔Truffle’s smell developed more when in contact with heat. shave them on top of your hot prepared dishes. 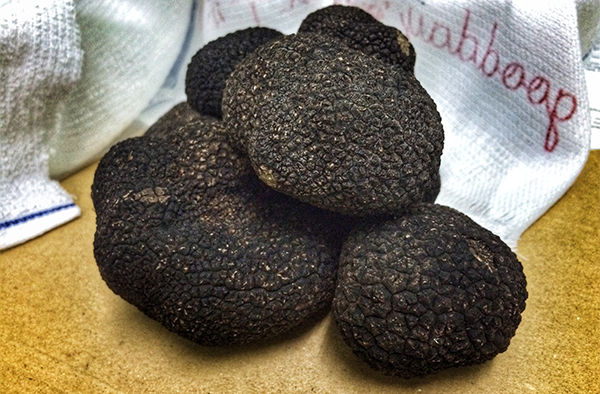 ✔The thinner the sliced of the truffle, the bigger the surface area. The greater once can taste it.